all the high spec extras. Blow your socks off booths, pure undiluted banter booths, memories that last a life time booths… Our booths are equipped for any event around London and in the UK whether it a Wedding, Corporate Event or a Private Party. Jammed with the highest spec equipment in the industry, each market leading OMG! Photo Booth comes with Auto Focus DSLR Cameras, Instant Dry Sub Dye Printers, HUGE HD 42” Touch Screen TV’s & Professional Soft Studio Lighting for the unrivalled quality that you expect from a multi award winning company. OMG! Offers 7 different booths to create a scene at your evening entertainment which gives you the choice to hire the right style of booth you’ve been looking for. So, you’ve found the right place for all your photo booth needs & we’d love to hear from you. 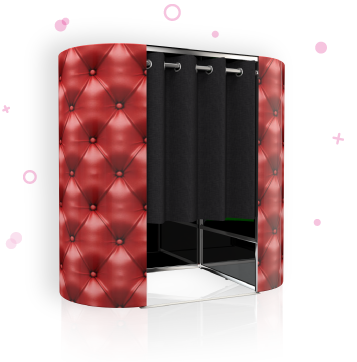 Check out our awesomely amazing booths below & then head over to our packages page to receive a quote for your selected package from our Consultants of Customer Happiness. Photo Booth Hire at its best, Made easy. Our Booth at your event. – To secure your date we only need a 20% deposit that will then guarantee your package. – The OMG! team will contact your venue to arrange set up times, insurance details, PAT certificates & parking. After all, you’ve planned your special event & the last job you’d want is ours!. CHECK OUT OUR BOOTH PACKAGES!